Meg’s value to her clients comes from a solid foundation of first-class professional training and over 20 years experience helping c-level and senior executives uncover and differentiate their unique promise of value, navigate the daunting executive job search landscape, and land their next great gig. With 10 careers industry certifications, she is one of only a handful of career professionals worldwide to hold the Reach Certified Personal Branding Strategist, Reach Certified Social Branding Analyst – LinkedIn Strategist, and Certified Executive Resume Master credentials, all gold standards. A recognized personal branding and executive job search expert, Meg has been featured and quoted in Forbes, Huffington Post, Wall Street Journal’s FINS, Inc.com, Fortune, CMO.com, PBS’ Next Avenue, About.com, Examiner.com, and many other esteemed publications. Since 2007, she has been the Personal Branding Expert at Job-Hunt.org, rated “Best of the Web for Careers, Job Hunting, and Finding Work” by Forbes and US News and World Report. “I LOVE my work partnering with c-suite and senior-level executives in job search, or contemplating one. My clients are top-echelon corporate leaders — CEO, CMO, CIO, COO, CFO, CXO, CTO, CBO, CCO, CKO, CSO, President, General Manager, Senior VP, VP, EVP, etc. Meg’s highly collaborative personal branding and job search readiness process brings out her client’s passions, strengths, and value proposition. With an engaging sense of humor and supportive nature, Meg puts her clients at ease to dig deep, open up, and pinpoint what is authentically “them”. Everyone deserves to work their passion. By helping her clients identify and communicate their true passions and drivers — the things that jazz them in their professional and personal lives — Meg’s personal branding process propels them toward jobs that meet their financial and career fulfillment needs. Meg is a keen listener and interviewer. She asks the right questions and synthesizes the best her clients have to offer in a clear brand message that speaks from their own voice and resonates with their target audience.
. . . And then there’s her razor-sharp, precision writing. Spend just a few minutes reading Meg’s executive resume and career biography samples and her blog posts. There’s no mistaking her signature crackling, vibrant writing that makes her clients come alive on the page, fused with her career marketing savvy and talent for personal brand positioning. Building online brand visibility to attract decision makers. Along with writing career success stories for her clients, Meg is a trend-spotter who embraces cutting edge movement in strategic executive career positioning. Leading her clients through the daunting ins and outs of today’s senior executive job search, she stresses that, in today’s career market, a resume will probably not be their first introduction to decision makers. Recruiters and hiring decision makers routinely Google and search sites like LinkedIn to source and assess top talent. Meg helps her clients build a brand-solid online footprint so they’re more likely to be found by the very people they need to attract. A pioneer in personally branded resumes. Meg was using personal branding before the world had a name for it. 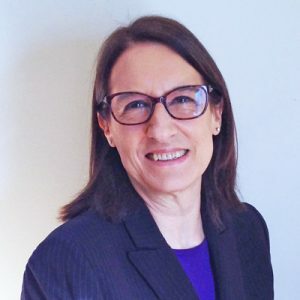 From the time she first started writing resumes professionally in 1989, her mission has always been to crystallize what differentiates her clients from their competition and showcase their unique promise of value to their target audience. In this way, she’s been able to generate chemistry and breathe life into otherwise flat career marketing documents. Putting her own passions to work. An entrepreneur to her bones, Meg has dabbled in diverse professional pursuits. For a time, she owned and ran an organic garden center specializing in exotic herbs and vegetable plants. Her organization and management skills, combined with a talent for writing compelling marketing communications, sealed the niche operation as “the destination” in the area for all things related to organic gardening. Meg’s love of edible gardening continues and drives the magic she does in the kitchen, creating from what’s ripe at the moment. Proud to give back to her community and share her job search expertise with those most in need of securing sustaining jobs, Meg provides pro bono resume writing to participants of Project Self-Sufficiency. The grassroots nonprofit agency, which provides critical services to lift impoverished, marginalized women and children out of the cycle of poverty, has been near to her heart since 1990. She received the agency’s Mosaic Award for outstanding contributions to participants, after volunteering thousands of hours of support and leadership over the years. View all publications where Meg has been featured and/or quoted.